Post notes to Slack channels or group messages. 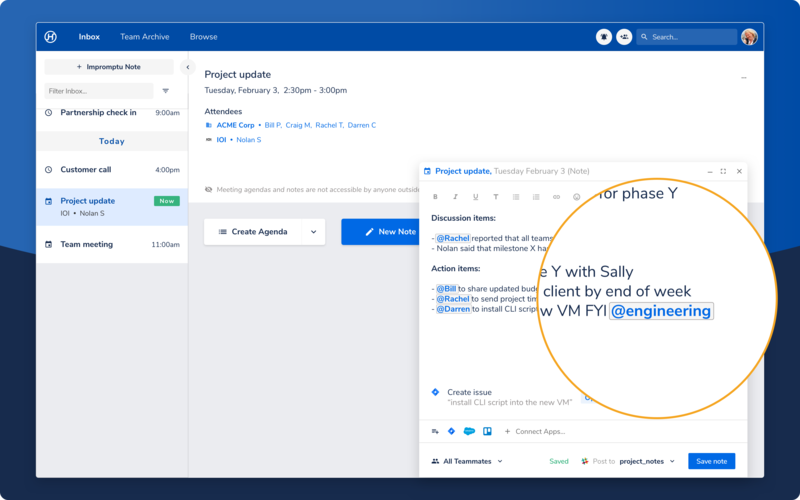 This functionality is very important as you can share meeting insights with people in your company and they don’t need to switch to Hugo to read the note. Posting notes to Slack is also a very fluid way of getting the right information to the right teammates without the friction of creating an account. Use #tags to easily organize notes and make them searchable for future reference. This is a very effective way of organizing information across multiple meetings.